NCIS stands for Northern Californian Inspired Sushi and the food here certainly is fusion. Japanese inspired menu with a little Californian creativity makes this one of Taipei's busiest sushi restaurants. All of the old faithfuls are here - sake and salmon roe. But the sushi selection get really racy. 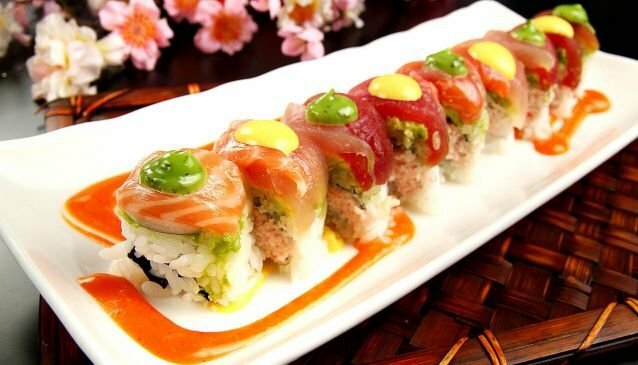 Try delicacies like the Mercedes - crab and shrimp center with a seared tuna, avocado topping and dash of salmon egg - or Spicy Ji Jimmy, a spicy tuna and fried shrip roll, topped with unagi and avocado. In truth, considering the mouthful of a sushi roll you can get for about $250, NCIS is an affordable solution to a sushi craving. In the Dunnan area, Taipei's foodie hotspot, NCIS is just around the corner from Zhongxiao Dunhua MRT (Blue Line).